She's Gotta Have It star DeWanda Wise had been set for a role in Captain Marvel, a role that remains a mystery to this day. 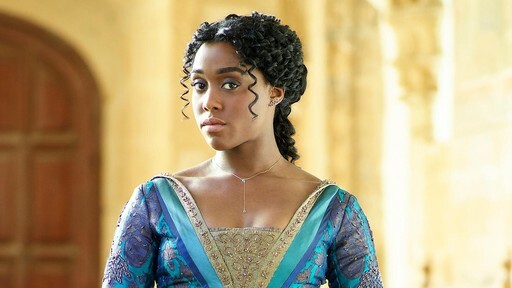 But due to scheduling conflicts with her Netflix series she's had to drop out, and now stepping in to replace her is Lashana Lynch of ABC's short-lived series Still Star-Crossed. Wise joins Brie Larson who plays the title hero Carol Danvers, Gemma Chan as Kree geneticist Minn-Erva, Jude Law as Mar-Vell the original Captain Marvel, Ben Mendelsohn in a villain role and Samuel L. Jackson as a young Nick Fury. The film takes place in the '90s so Fury will sport both eyes, not a cool eyepatch. The alien shape-shifting Skrulls are the primary foes and I continue to think Avengers 4 will be titled Secret Invasion, which was the major Marvel storyline in which many of Earth's heroes were revealed to be Skrulls.